I was recently hired by SearchNurture to help them write a series of posts on Amazon Advertising. SearchNurture is a Digital Marketing Agency which matches specialized advertisers with companies and professionals. They also offer training in digital marketing and even help graduates find a job (and pay $6,000 upon placement). 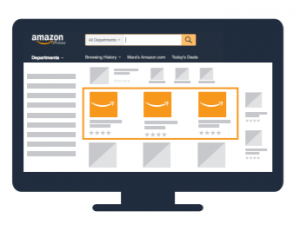 I don’t like tooting my own horn, but anyone interested in how Amazon Advertising works should have a careful read, as this is the most exhausting guide I have seen on the Internet yet–and I’m mighty proud of my part in creating it. A little help never hurt! Nicholas C. Rossis is not only a talented author, he’s also incredibly generous, intelligent, and helpful. Authors who’ve published through Amazon and need help marketing will find his info highly useful. I completely failed with Amazon advertising so I am going to read this guide. I’m guessing I missed something!